Cabins and vacation homes in general serve the purpose of bringing us closer to nature, something that most of us still yearn for. 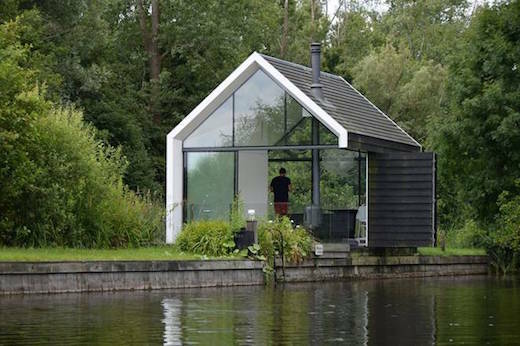 And this glass cabin, recently completed by the Dutch firm 2by4-architects, offers just that. It is located in built Loosdrechtse Plas, a region of Holland filled with picturesque lakes. The cabin measures only 215 square feet, since local regulations mandated it to be the same size as the structure it was built to replace. In an effort to make it appear larger, as well as to bring the inhabitants closer to the nature surrounding it, the cabin’s eastern and western side is completely glazed. The rest of the façade is clad with charred wood siding. The glass walls also let in plenty of natural light and maximize solar heat gain. The cabin also features a unique moveable wall that together with the glazing leads to the complete removal of one of the cabin’s walls. 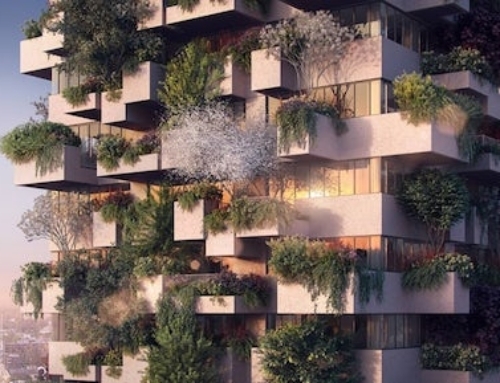 This truly blurs the line between the interior and exterior spaces. It is achieved by completely opening one of the glass facades so that the wooden outdoor terrace actually becomes part of the interior space. The wooden façade can also be folded down, which offers wraparound views of the surrounding landscape. This also forms a deck over the lake next to which the cabin was built, forming an easy way for the inhabitants to access the water. The interior was kept simple and functional. 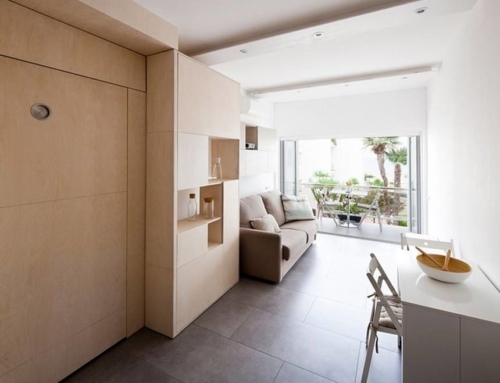 It’s all just one room, and features a small kitchen, toilet and shower, which are integrated into a double wall. 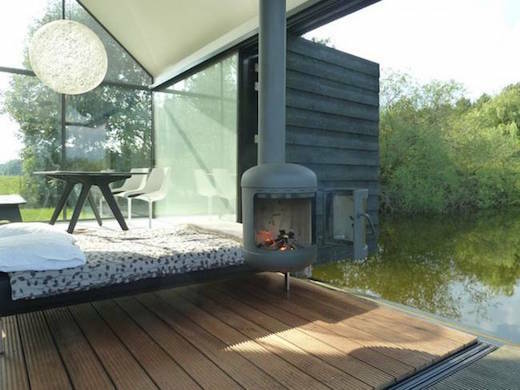 There is also a suspended wood stove, which can be rotated to heat both the interior and the deck. 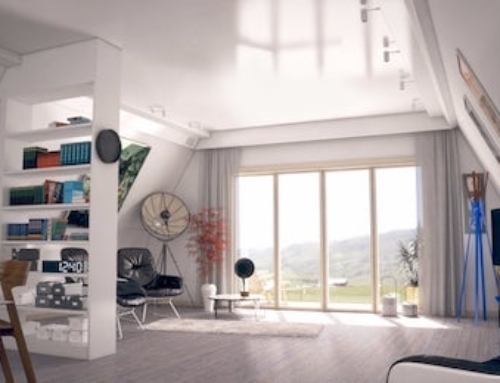 The cabin has already become quite famous, and with good reason, so the firm is planning to design a cheaper, prefab version that will be easy to construct.